We are loving these books! So I wanted to share them! Every morning we read a story about a man and woman that accomplished great things, overcame adversity, or displayed amazing courage or compassion. 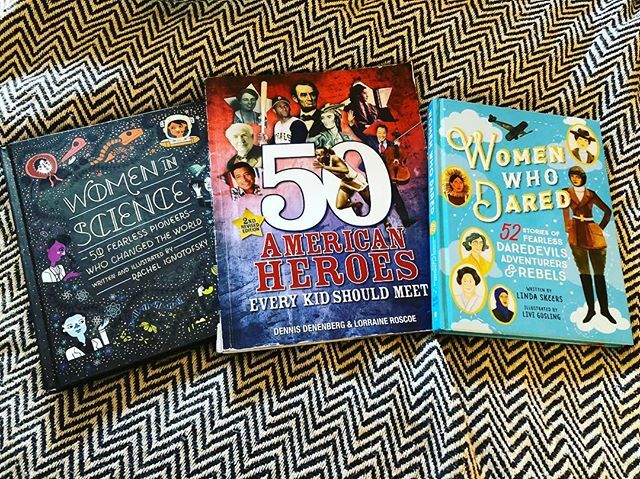 • The cool thing is these stories not only help shape my kids’ minds and hearts but inspire me to be brave, determined, and compassionate as well! • – Hinson Co.